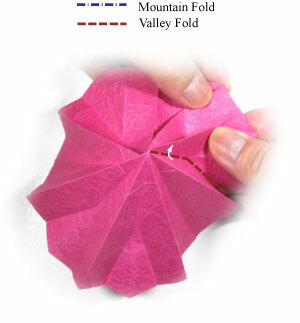 Apply two angled valley-folds: (1) and then (2). 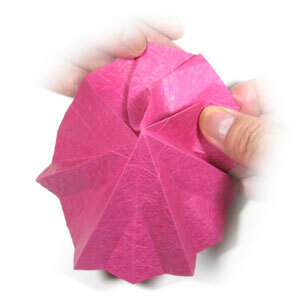 Prepare to apply an angled valley-fold. Apply the 3rd angled valley-fold of the step #9.